Thanks to your membership and the support of our largest fundraiser, our Annual Arts & Crafts Show, were were once again able to fund $10,000 in senior scholarships this year. This is an essay-based scholarship (no GPA or class rank requirement) that is judged outside of our organization. Parents of seniors: It may be hard to believe, but graduation is rapidly approaching ! We know it is bittersweet – we’ve been through it! Now is the time to think about celebrating your senior. You can order a graduation sign to celebrate their achievement. Prices start at $25 (with free shipping to SHS!). Go here to order and for more information. It’s here! The application for our 37th Annual Arts & Crafts Show in November 2019 can be found below. New and returning crafters: Please review it carefully and pay attention to all due dates, fees, and rules. We’ll add it to our updated CS page once this weekend’s show is complete. Thank you for your interest in our show. 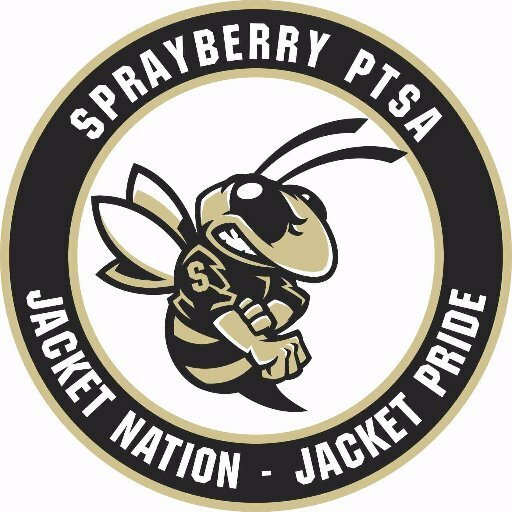 Sign up for the Sprayberry eBuzz Newsletter!